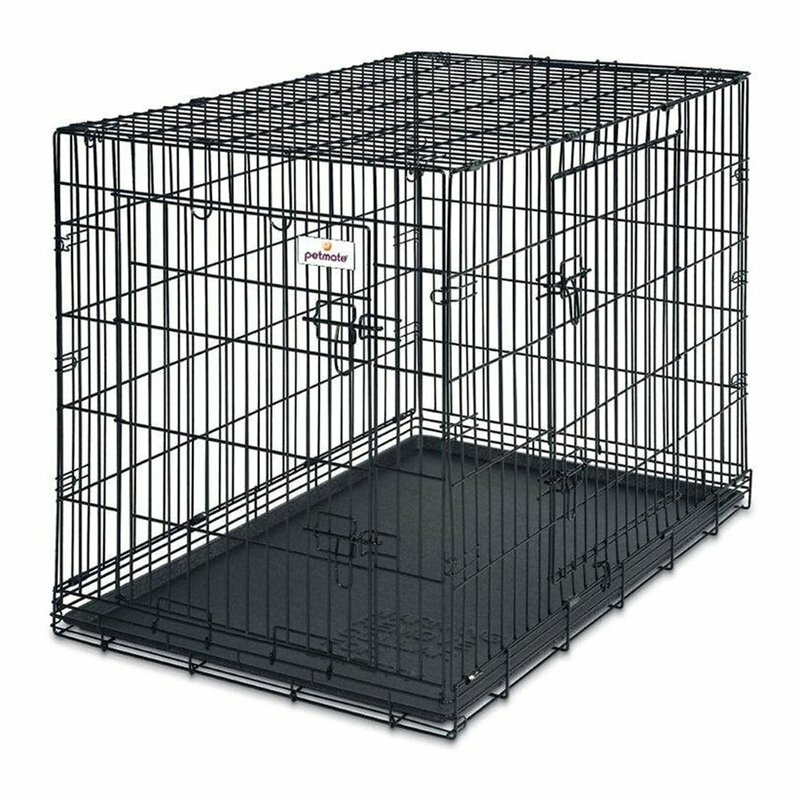 Petmate 2-Door Training Retreat Kennel for Dogs, 19", Up to 15 lbs. Created for both comfort and housetraining, the 2 Door Training Retreat boasts sturdy wire construction for safety, rust-resistant black coating for durability, and a leak-proof removable pan for easy cleaning. The double-latch, single front door and side door helps with control, easy in and out access, as well as versatile positioning. A convenient handle on the top makes it easy to move from room to room. The 2 Door Training Retreat also features an adjustable divider that enables the kennel to easily grow with the pet!